The long awaited moment is finally here! Patch 2.18! In this patch we have done and changed a lot. 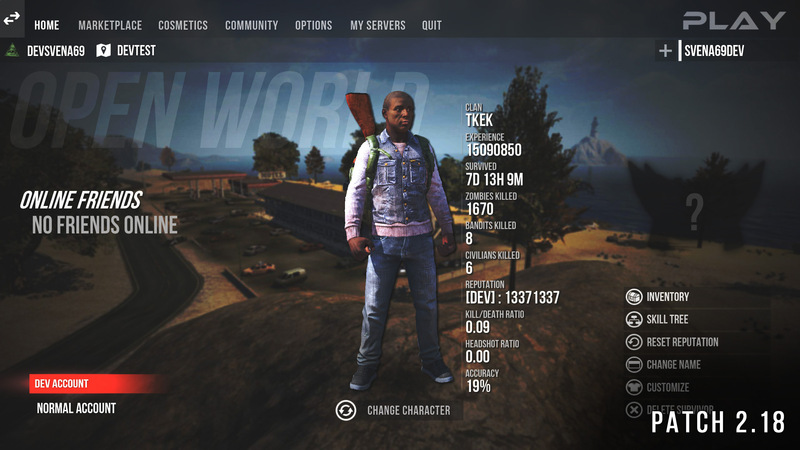 To summarize it, there is an entire new main menu / char selection UI, we looked into the right peek issues, we worked on server optimizations and improvements and have upgrades going live for the North America, South America and (a little bit of) the Hong Kong servers. Also something really important we worked on for this patch is improvements related to the right-peek issue. This has been a major issue in the game and we just want to let you all know we have been working very hard on fixing issues like this. Let's not spoil too much and jump into more details! Now, let's jump into the patch notes of patch 2.18! One of the servers in this region was having connection issues. This is the main reason players were having problems connecting to pretty much half of the gameservers in the Hong Kong region. This server is going to be replaced with a fixed one. All problems will hopefully be resolved after this. In South America we are doing a full switch / upgrade. There was just so many issues with these servers and in some cases it was completely unplayable for players playing in this region. 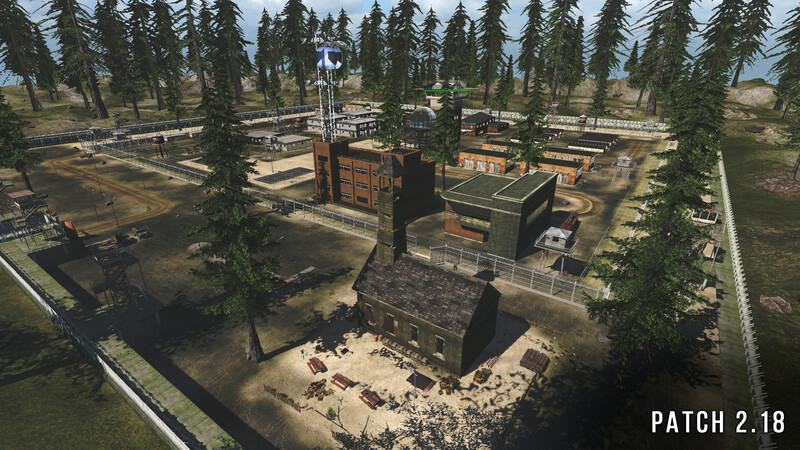 We are switching to brand new servers at a better location that will hopefully result in a better connection and stability for players overall connecting to these servers. These new servers have more power resulting in better performance / less server crashes. NOTE: This change might cause the South American servers to be disabled for a short while. This is mainly because these new servers are to be delivered tomorrow morning, which should be before the patch. If they are not delivered to us in time we will patch the game but South American servers will be disabled until we have them. We will keep you all updated with the progress of these servers in this region through our Twitter. We are doing everything we can to keep improving our servers and to make the game playable for everyone around the world. Your feedback is much appreciated so make sure to let us know if you are experiencing any issues so that we can help you! We will keep monitoring our servers from here and improve if needed again. South American servers are delayed until tomorrow morning. Sorry for the delay. Players can no longer abuse the "right" peek with their ARs in third person around corners. This has been fixed. Please keep in mind we always aim to improve here so if you have some feedback let us know and we will keep working on this! Improved overall LOD distances. Some distances were way too overkill and were making the game look bad (for example the small market building) because LODs were loaded too close/fast. Please keep reporting possible issues about this so we can keep improving the distances. Optimized the airdrop plane model. This will make it so players have less performance drops when airdrops come. Fixed a glitch related to the MP5/10 SD sound / Tactical silencer sound where this sound would continuously play in the menu and glitch out. Fixed a spelling mistake in the UI where some words related to buying a skin were in German instead of in English. The new "Shane" character is now fixed and ready for release. Fixing this new character took some time but we are happy that we are finally able to release him. We are not sure yet when/how this will be released so keep a close eye on our social media channels for further details. The Killer Skinbox has been removed from the GC airdrop due to requests from the community. The pick-up UI (in-game) now shows the quantity, meaning you now see how much a certain item is 'stacked' when dropped on the ground before picking it up. Fixed a bug that caused the Tutorials to keep re-appearing. The radar now displays the correct rotation when moving the death camera. Increased the kill-streak GD multipliers. This means exponentially players get more GD depending on how much kills they have in a current kill-streak. Players can no longer put shields/respawn when a server is programmed to enter sleep mode. Marketplace featured items now have a tag, like the new items. Fixed a bug causing zombies to "falsely die" from walking against cars. This caused something you guys called "invisible zombies". Hitting zombies with a vehicle should work a lot better now. Fixed a lag caused by driving close to zombies or objects. Fixed various crashes related to the vehicle system. Because of the car improvements, killing players and zombies now do affect the vehicles durability. You can no longer use the vehicle camera to look behind/through objects. An exception has been made for forest trees, as it can be very annoying to have your camera go crazy when you drive through the forest. Fixed the GD players receive in PVP Servers. Players should now receive the 'normal' amounts again. Reworked the riot shield protection. If someone shoots you and you put down a shield, it will no longer register as a hit for the "lagging player". Fixed a crash caused by invisible skins in the cosmetics menu. Tweaked the respawn system to make sure that players can't abuse it. Updated the airdrop plane model and also added new animations. Updated the main menu UI and character selection UI. Improved based on player demands and we felt like these screens really needed a little rework. We will keep improving based on feedback from you guys so make sure to let us know what you think! Don't worry no practical features are changed and everything still works the same way. Added a clan territory system. For more information about this please read further below. Added new LODs for some tire models that were used a lot in the new map. Also optimized original model. Added new LODs for the police station v2 model. Added new LODs for the post office v2 model. Added 6 new variations of palm trees to the game. Read more info about this in the point above here. 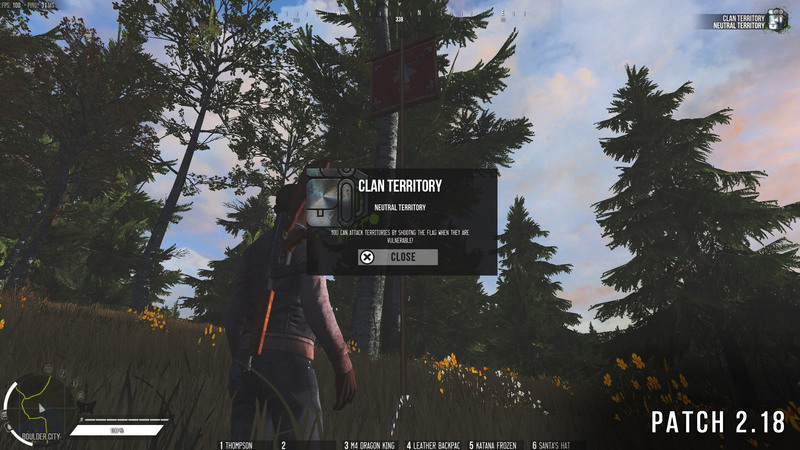 The clan territory system is a new gameplay feature now live in the open world official servers. 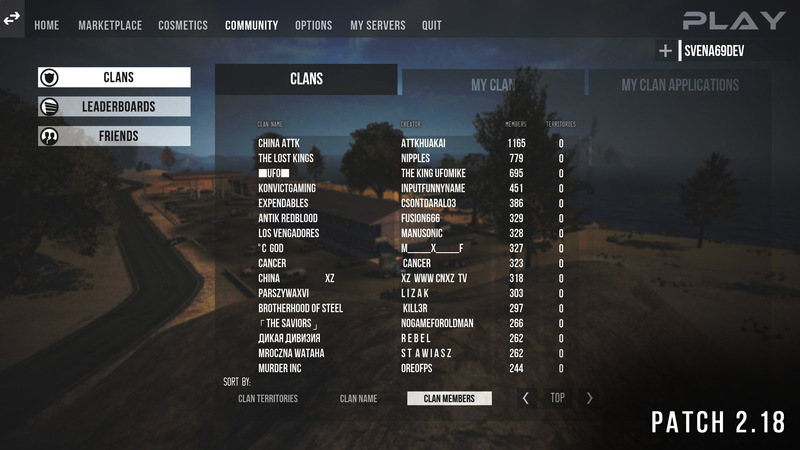 The idea is that clans compete in leaderboards trying to take over as much territory in as many servers as possible. The system works as following: Servers have contest points and can be either neutral or owned by a clan. Players / clans can start contesting a territory by shooting the contest point that is vulnerable. This starts the "contesting" event and during this period of time the entire server will be notified that a point is being taken over. The contesters have to be inside the indicated contest area to progress the contesting. When a certain point is being contested this also means that no other contest points in that server can be taken over. When the contesting bar is 100% this means that that clan contesting that point will have ownership of that point. Contest points are vulnerable and unvulnerable randomly for now. Clan territories are ONLY live in Open World Official Servers. 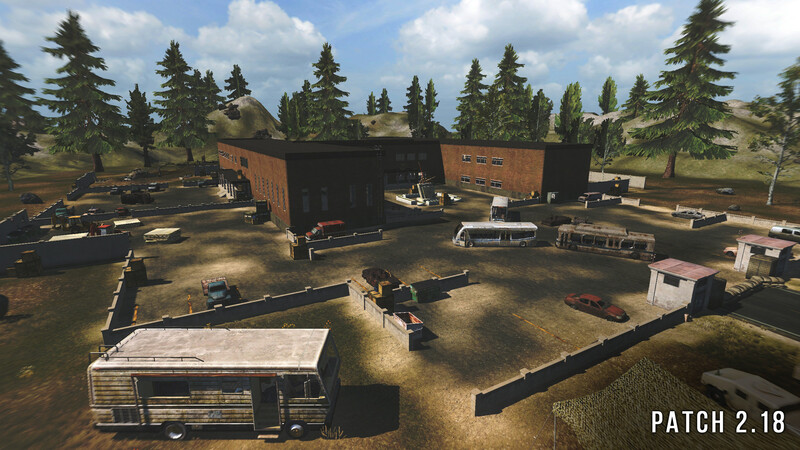 (Colorado V1, V2 and Caliwood) We do have plans to implement this in the Survival servers too but since clans are still disabled in Survival we haven't done this yet. 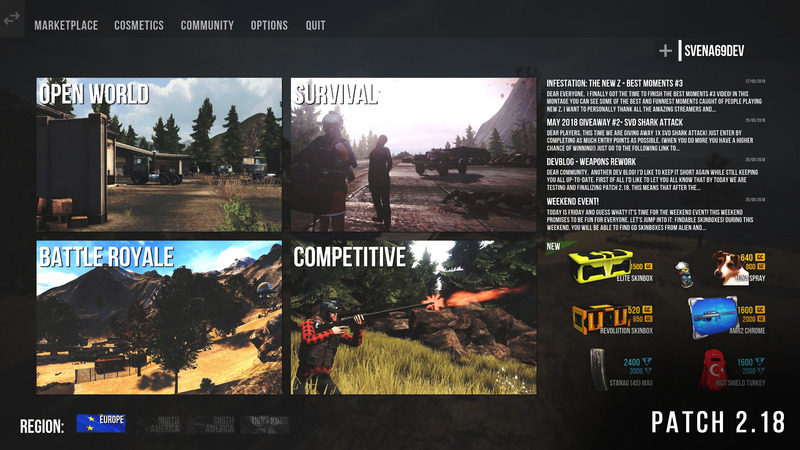 We do plan on expanding this system in the future based on both community demand and based on further ideas we have. For now we stayed with a very 'basic' version where we did not want to spend TOO much time before we know how this new system is received by our community. Most importantly is that it's live now on servers and it's linked to a special dedicated clan leaderboard! Added new: 25% discount for bus tickets. Maximum load-out slots has been decreased from 10 to 5. PRICE reduced from 2500 GC to 2000 GC. Maximum load-out slots has been decreased from 15 to 10. GD and XP ratios have been increased from x2 to x2.5. Added: 5% Discount on private server renting. Added: New in-game chat color. Added: 1 free character rename every month. PRICE reduced from 6000 GC to 4000 GC. Maximum load-out slots hasn't been changed so stays 20. GD and XP ratios have been increased from x2 to x3. Added: 10% Discount on private server renting. Added: 2 free character rename every month. We will keep improving the account subscription features based on YOUR feedback so if you have any ideas or feedback let us know! Added a new hat: "Luna Hat". This is a hat version of the "Small Backpack Luna" skin. We are not sure yet when / how this item will be released so keep a close eye on our social media channels for further details. Added a new armor: "Banana Suit". This is literally a big banana suit that players can wear. We are not sure yet when / how this item will be released so keep a close eye on our social media channels for further details. Added a second version of the Sherrif Dragster vehicle: Police Dragster. We are not sure yet when / how this item will be released so keep a close eye on our social media channels for further details. Added a new clan riot shield: "Riot Shield DDO5". Added a new clan riot shield: "Riot Shield UploadBoom". Added a new media riot shield: "Riot Shield UnfaithfulZ". Added a new media riot shield: "Riot Shield W4rdogs". Added a new backpack for the Survival game mode called the: "Leather Backpack". More info in the Survival section of these patch notes. Added a new GI-Access locker: Fun Edition GI-Access locker. Added a new GI-Access locker: Infinity GI-Access locker. Please keep an eye on our social media channels for further information about the release of these new items. Fixed the store icon angles of the arrows/silenced muzzle attachments. They now have the same angle as the other attachment store icons. Fixed and improved the iron sight (default) of the Thompson. The quality is improved by a lot and it now looks like a 3D sight instead of 2D. We had to add a little "wooden" placeholder under the sight but overall it looks okay! Hope you guys like this improvement. Also updated store icon. Fixed an error related to a missing material type related to the forward grip. It was also causing crashes. Fixed physics for dropped model of the FN Scar H.
Fixed physics for dropped model of the Aug A3. Fixed physics for dropped model of the ASVAL. Updated the GC & GD Airdrop icons. They now match the new airdrop and are better quality overall. Also added GC & GD icons. Updated the fire rate of the EVO-3 back to 950 based on community feedback. Updated the fire rate of the UZI back to 950 based on community feedback. Updated the fire mode of the G11. This weapon can now shoot in auto, semi and triple burst fire modes. Updated the damage of the FAMAS. Decreased the damage. Updated the damage of the FN Scar CQC. Increased the damage. Updated the fire rate of the Thompson. Decreased the fire rate. Updated the damage of the Thompson. Decreased the damage. Updated the fire rate of the AWM Magnum. Increased the fire rate. Updated the damage of the MP5/SD. Increased the damage. Updated the fire rate of the AS VAL. Decreased the damage. Updated the spread of the IMI-TAR 21. Decreased the spread. Updated the spread of the AUG A3. Decreased the spread. Also, you will notice that most attachment statistics have been reworked. This is mainly done with the goal to make them more relevant and useful to use while at the same time compensate for the recent overall changes we have done to the weapons and spread. We will keep monitoring feedback and usage of certain attachments so please let us know what your feedback is. Also a little part of this is because of the room we are trying to create to add more attachments in the near future. Added a new skin for the Ghillie Suit: "Ghillie Suit Modern Black". Added a new skin for the Ghillie Suit: "Ghillie Suit Fun Edition". Added a new skin for the Hunter Backpack: "Hunter Backpack Invisible". Added a new spray: "I Am Watching You". Added a new skin for the Katana: "Katana Frozen". Here is a preview: https://gyazo.com/c74a05dafe1e636600b7a4612e70aaa0 This katana also has a custom "woosh" sound. Added a new skin for the Katana: "Katana Frozen Vengeance". This katana also has a custom "woosh" sound. Added new clothes: Alien collection. For the Average Jane character. Please keep en eye on our social media channels for further information about the release of these new skins. Fixed the Honey Badger Neon Dragon silenced muzzle. Now it has the proper muzzle attached. Fixed the Custom Guerilla Modern Black texture. Made the skin overall look better and more shiny. Fixed the texture and the pivot problem of the K. Style Helmet Aviator skin. Fixed the K. Style NVG Alien texture where the texture wasn't as black as it should be. Fixed the K. Style Alien texture where the texture wasn't as black it should before. Updated the Vindicator skinbox texture and icon to match more of the containing skins. Updated the glow level of the Karambit Jedi skin. Increased the amount of glow. Fixed the pistols in the Battle Royale load outs. Some pistols were in the wrong inventory slot. Also added new/different pistols. Fixed a bug causing Battle Royale spectators not able to switch between their teammates. Fixed some flying rocks around the beach areas where players could get stuck in the rocks and not be able to get out. Fixed some flying objects around the antenna area close to the beach. Fixed some rocks next to the construction area where players could get stuck in the rocks and not be able to get out. Fixed the zombie item drops where zombies would sometimes drop riot shields. Fixed some flying trees next to the church. Added the new "clan territory" points. For more information about this new feature please read above where we explained this earlier. Added more player spawns around Frosty Pines in the forest. Opened some walls around the police station in Smallville. Increased the overall distance of the fog. Fixed the flying objects in and around Shrute Farm. Fixed the render distance of Camp Splinter. Fixed a random airdrop spawn close to Whitestone Mountain where the airdrop would land inside a rock. Fixed some flying trees close to West Boulder. Fixed an invisible wall issue where players could not walk through. This was next to the motels area. 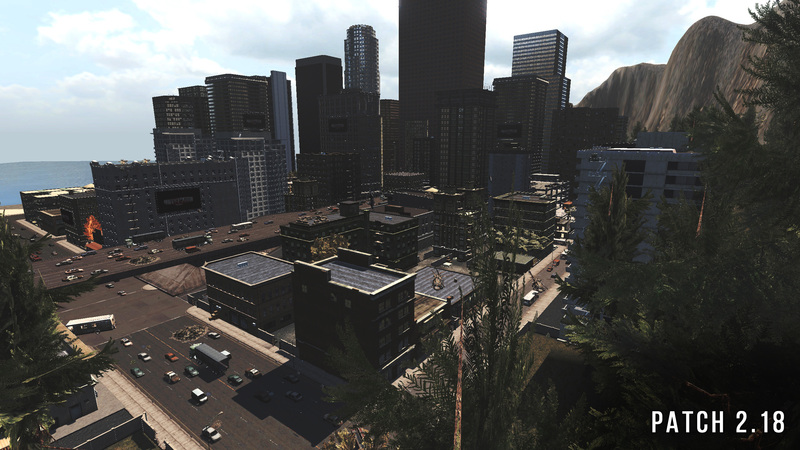 Fixed the flying objects in and around the down town area. Reworked the road block next to the RV. Made some adjustments to objects around the map to improve gameplay. 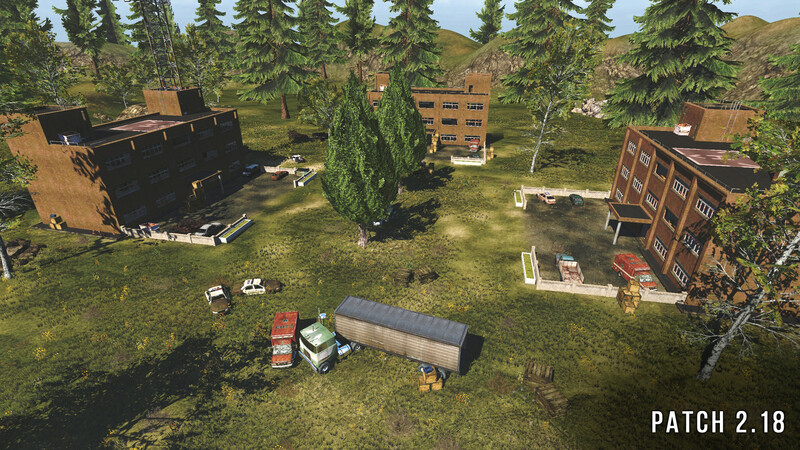 Removed some trees in the corners of the map to prevent players from camping there. Fixed some missplaced objects in the restaurants. Added another higher elevated plateau above the maze so spectators have a better overview of the maze. 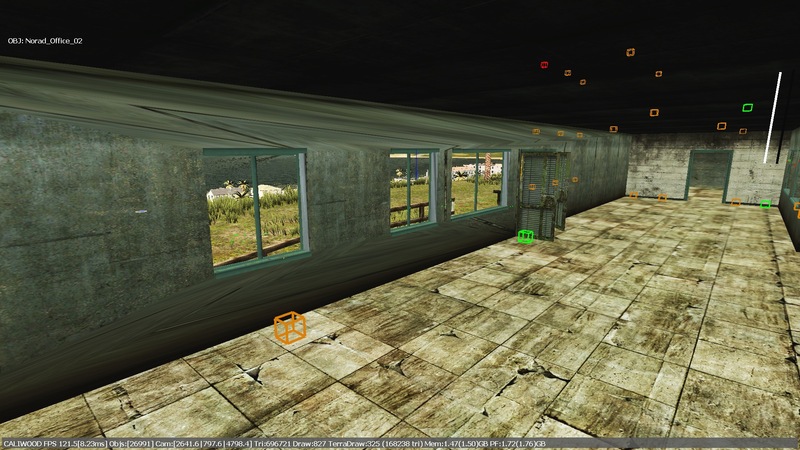 Removed a no-clippable small barrack building that was in the Team Death match 4 area. Thanks for the report Unislav! Removed the campers from the team death match area's. Since event hosters can not see inside here players abused this to hide. Overall improved the look of the map. Painted more hills around the whole playable area. Also added more trees and terrain improvements around the race track area. Fixed some buildings and objects where players were able to walk through. Added this as a new PVP map. Estimated patch size: 300 mb. Patch ETA: Patch is expected to be rolled out at May 29, 2018 around 10:00 AM (CEST). We will keep you all live updated through our Twitter. Estimated downtime: Around 1 hour downtime. Once again thank you for your great support! Want to support us even more? 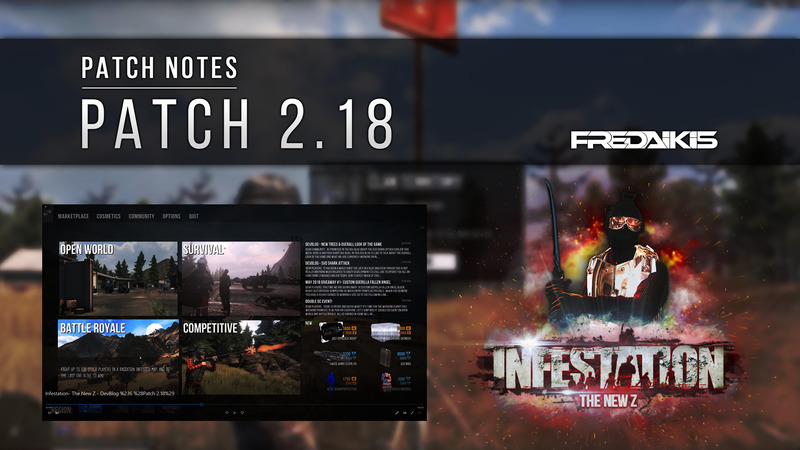 Make sure to share these patch notes with your friends and followers! Oh, and don't forget to check out "The New Z - Best Moments #3", it's hilarious! I hope everyone is excited! Epic man! Looking forward to this, but can you explain this for me please? FeelsBadMan ... whats the reason for that? Also, total or bonus slots? nice patch=) I do not understand! so Shane's character can be bought, or is he not yet set up? This means when we do for example a restart where you get the big message "servers shutting down" you can no longer place shields etc. To prevent players. Thanks for the feedback either way! Hope it's not too big of a deal. This change mostly done to make the other subscriptions make more "sense". Therefor also reduced price. Premium is extremely cheap though. We also kept that in mind. Total slots, and check reason above explained! It's finished and will be available for purchase somewhere after this patch! Esperava que ia sair Servidor privador na América do Sul nesse patch. Estou ansioso pelo lançamento, está fantástico. Poderia ter o colorado V1 de volta nos servidores oficiais. Will it work for snipers to do right peak? Because that was the real problem..
Any idea what ping would be for someone in California with the new servers you are changing to? Currently I get around 90ms with where they are now. I am extremely happy to see this has finally been addressed. It's been one of the concerns I talked about so long ago. THANK YOU, THANK YOU, THANK YOU. I particularly like the added discount to rent private servers. HYPE!!! HYPE!!! Also, with the reduced price for each level, I agree the daily GC reward should have been removed. Also, being able to rename a character for free makes a lot of sense. More for survival hopefully soon! BTW, added you on discord! Thanks for your comment man. Appreciate this! Keep up the great feedback as it helps out a lot! I hope this helps you understand why your readings vary.